IBM Spectrum Virtualize unifies and integrates your mixed storage environment. Maximize efficiency with software-defined storage features like compression, dynamic tiering and thin provisioning. You can extend heterogeneous data services to more than 400 storage systems and manage up to 32 petabytes (PB) with a single IBM Storwize V7000F solution. 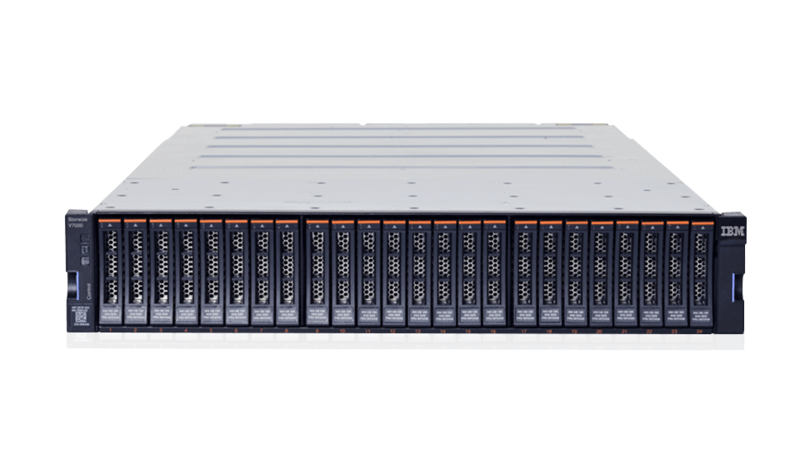 Storwize V7000F gives you the full power of storage encryption inside the hardware arrays and in the IBM Spectrum Virtualize™ management layer.